I have been wanting to update my Home Tour pictures, so I cleaned up the kitchen, put away the coffee pot and the dishes, and snapped a few shots. When we purchased this home almost 3 years ago, it was being built as a spec home. We got in just in time to be able to pick all the finishes and paint colors and make it our own. We went pretty classic in the kitchen and kept things on budget. 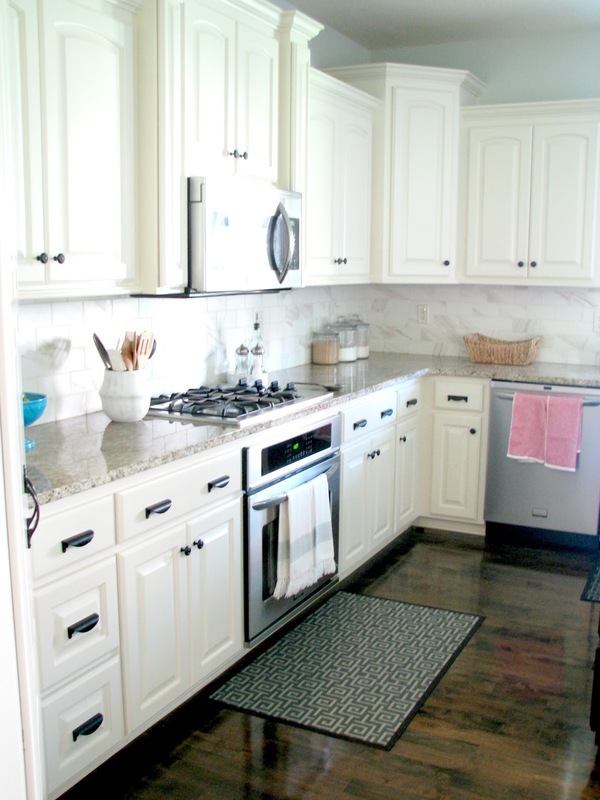 White cabinets, subway tile backsplash, stainless steel sink and appliances, granite countertops. 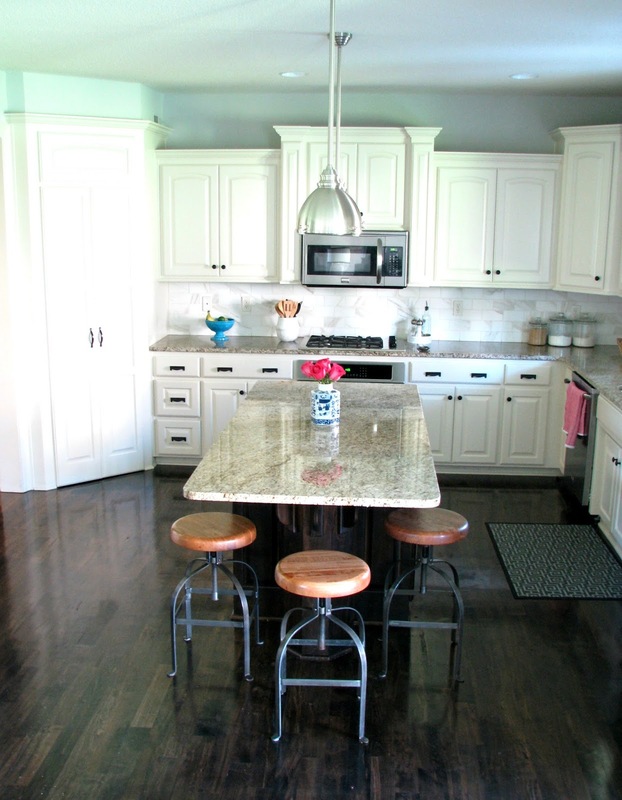 We did decide to stain the island dark to contrast with the white cabinets. 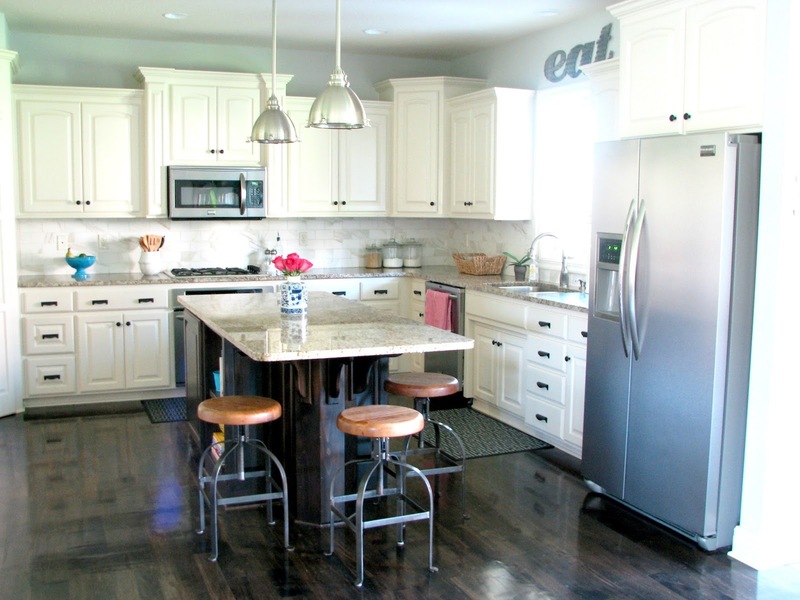 The cabinet color and trim color throughout our home is SW Alabaster. The wall color is SW Big Chill. 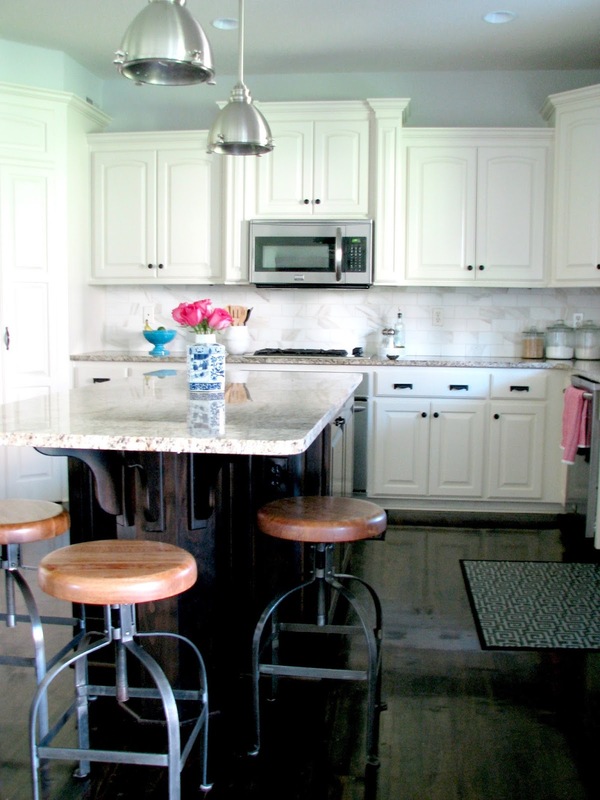 The pendant lights are from Home Depot, and the stools are World Market. Beautiful kitchen. It is so light and bright. 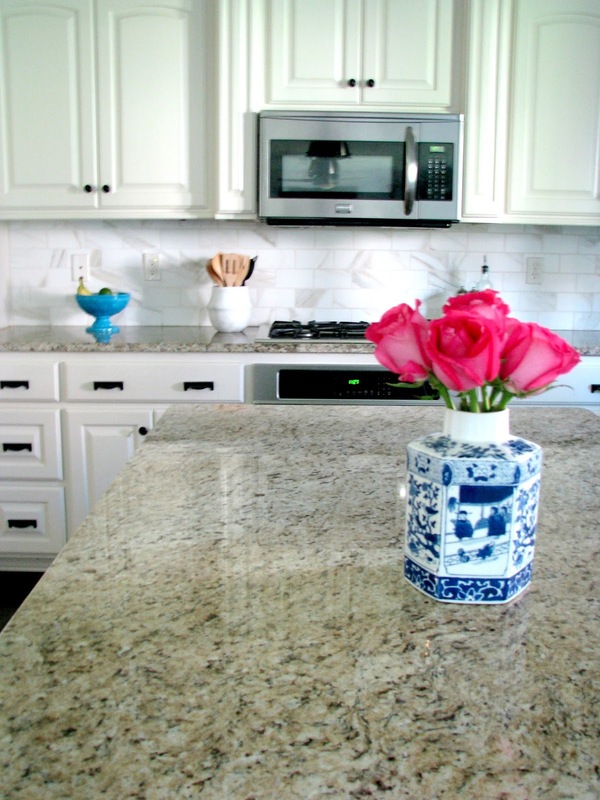 The island is the perfect place for baking and entertaining.